The Seychelles are without a doubt the perfect place for an unforgettable date – it’s a paradise made for romance. Between lounging by the beach, exploring the nature and enjoying divine food, you’re sure to have a dreamy time. 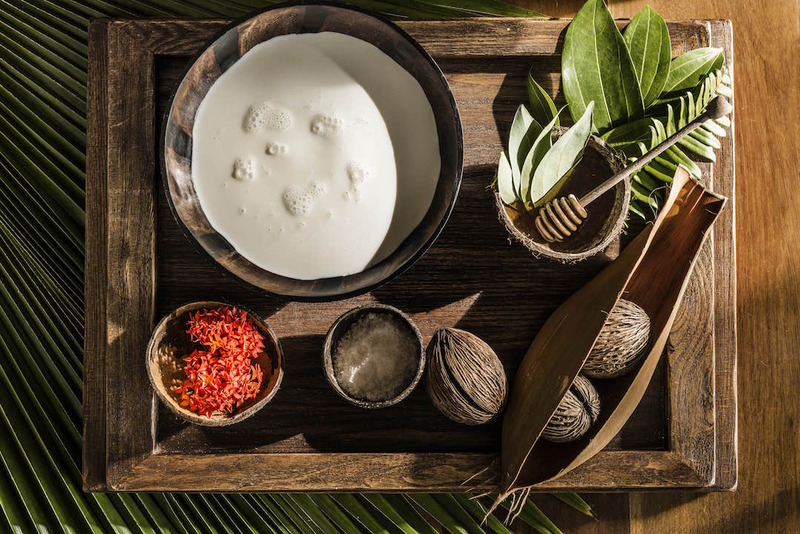 But, if you’re looking for something truly unique, then check out our guide to the most amazing date experiences you can have in the Seychelles. 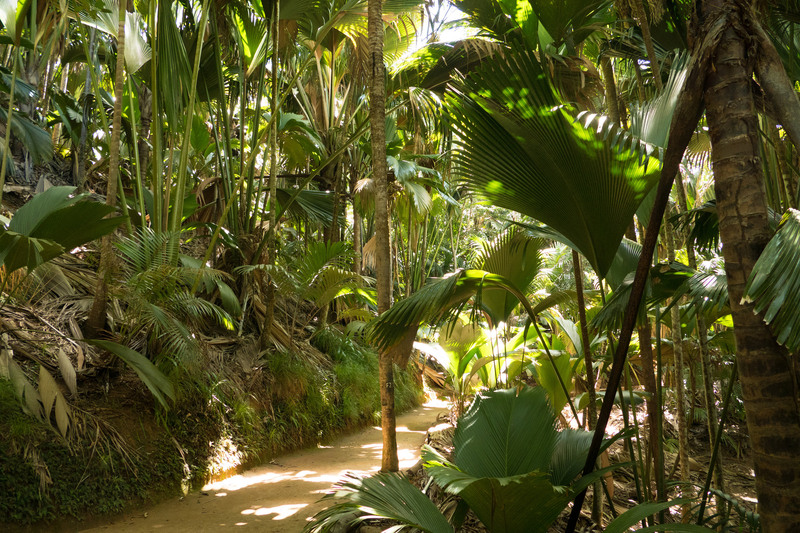 An annual event, although with no fixed date, the night walk in the Vallée de Mai is a seriously unique place to go on a date in the Seychelles. Walking through the giant palms through the day is spectacular enough, but the drama is certainly ramped up at night. With your sight reduced, all of your other senses are amplified, making it a little scary but a very exciting experience – a bit like going to see a scary movie at the cinema, but way better! Legend has it that the French pirate Olivier Levasseur, otherwise known as ‘La Buse’ (The Buzzard), buried his treasure in the Seychelles – rumoured to be worth more than £1 billion ($1.3 billion)! There is more than just hearsay that links the treasure to Mahé Island – what are thought to be pirate engravings have been found on rocks, while bodies and a small amount of pirate treasure has also been uncovered. Go in search of the treasure yourself and, if nothing else, have an exciting time exploring the island. Seychelles is beautiful and romantic, whatever way you look at it, but there’s definitely something special and romantic about seeing it from above. Reach your resort by helicopter, or take a helicopter tour around the islands. With 23 different islands having helicopter pads in Seychelles, there are plenty of stunning locations to land. 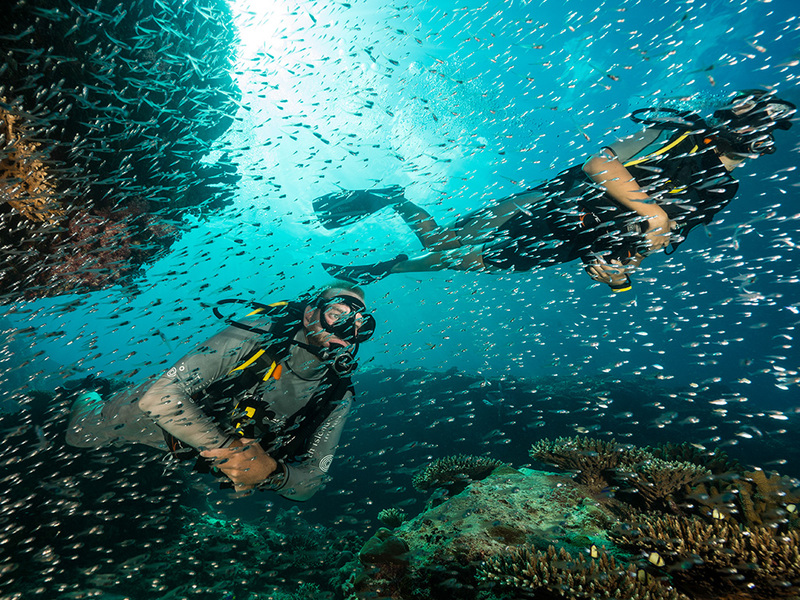 The warm, clear water of the Seychelles is the perfect place to go diving or snorkelling, with so many different sites suitable for all levels of expertise, from beginner to advanced, there is a perfect spot for everyone. There is so much marine life to see here, and sharing it with your date makes it all the more exciting. Diving and snorkelling are included in the package if you stay at North Island Resort. We all know a couples treatment at a spa makes a great date, but throw panoramic views of the Indian Ocean into the mix and you are definitely taking it to the next level. 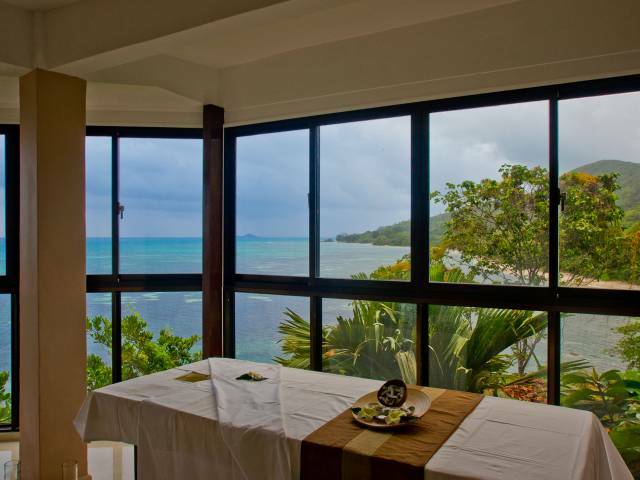 The Coco de Mer Hotel has an amazing spa, with the most unbelievable views. A walking tour of Victoria, one of the smallest capital cities in the world, is a great way to see the city. 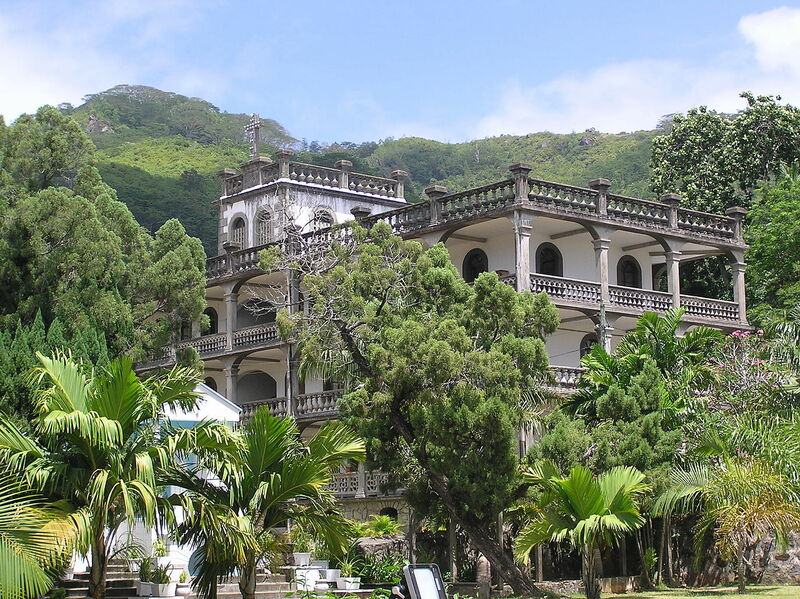 There are plenty of monuments and statues to give you some insight into the history and culture of the Seychelles. There are also some top museums, which, while small, are worth a visit. Be sure to visit the market, with Seychellois selling fresh fish, fruit and vegetables, and souvenirs. Take home your favourite recipes from the Seychelles with a Creole cooking class. Offered at several of the best hotels in Seychelles, cooking these dishes together will then forever remind you of your romantic stay here. The cooking class at the Four Seasons Resort is simply fantastic. Mini mokes can be hired on Mahé and Praslin islands, they are an extra fun way to get around and explore the islands together. The wind in your hair and stunning views in the background will make for some amazing photos too! With flat, calm seas most of the year, you don’t need to worry about having good sea legs to take a boat trip in Seychelles. Take a day out on a luxury catamaran and enjoy the unforgettable views. For bonus points, choose the fully staffed option, with a chef to prepare your romantic meal on-board. Some of the hotels here offer a beautiful picnic – and, what’s more, they suggest a beautiful, secluded little beach for you to have it on. This is more than some jam sandwiches and a flask of tea kind of a picnic – here you’re looking at champagne and fine dining on some of the best beaches in the world! At Constance Lémuria you can have a highly romantic beach picnic at the gorgeous and secluded Anse Georgette. If you’re perhaps looking to propose, then this would be an amazing place to do it. Get hearts racing with an exhilarating zip-lining adventure through the trees. Based at Constance Ephélia Resort on Mahé Island, they also offer rock climbing. This will certainly be a date you won’t forget. A night on a private island is definitely going to win you some brownie points! 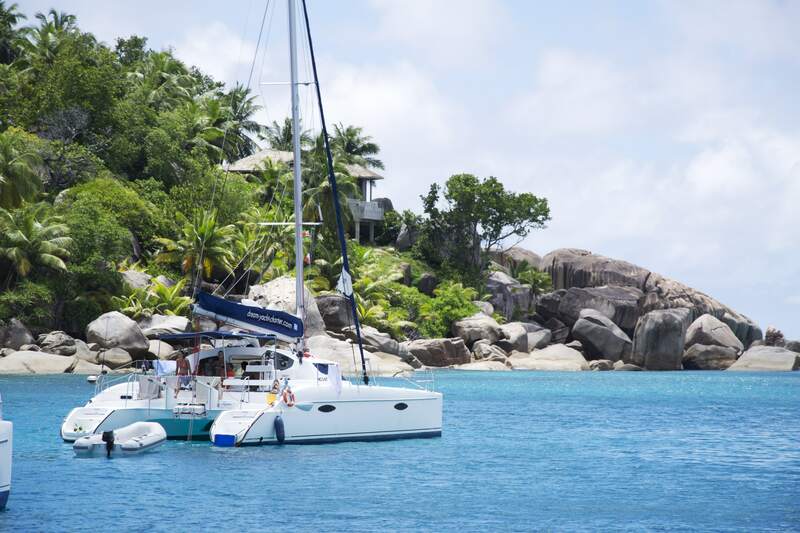 Seychelles has many to choose from, all of which will be sure to give you the ultimate remote tropical island feel! 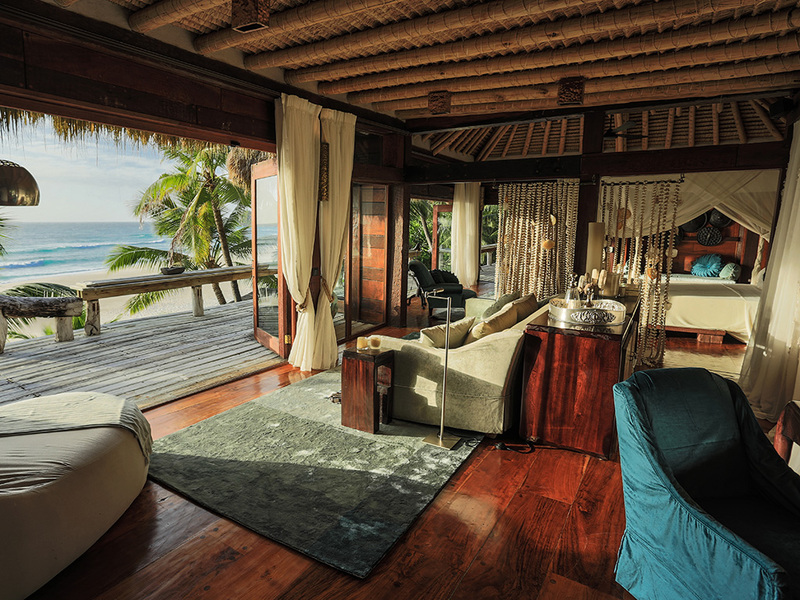 North Island is a high-end, private luxury island resort, perfect for a romantic getaway. With fine dining and countless options for activities – and a “nothing is too much trouble” attitude from the hospitable staff, this could be the best (overnight) date ever!